At Tilden Car Care Center, our goal is to provide our customers with a warm, friendly and professional environment! We want to ensure that the total experience meets or exceeds everyone’s expectations. We are a complete automotive service and repair facility, with the latest technologies and equipment. We do it all! Tilden Car Care Centers offers oil changes, tune-ups, tires, brakes, wheel alignment, electrical service, diagnostics, new engines and transmissions and all the standard maintenance services you need to keep your new car warranty validated. We also offer Uhaul rentals! 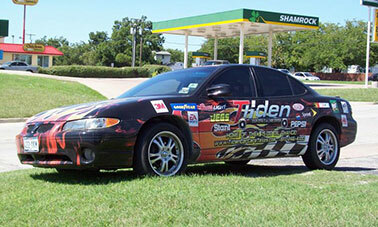 At Tilden Car Care Center we have all your repair and maintenance needs covered. We have three locations to serve you around the Fort Worth, TX area including one in White Settlement, TX. We install only quality replacement parts. Give us a call at any of our three locations. Are you wondering which location is most convenient? Call (817) 246-4100 we can help you find the location that is right for you. Let us help keep you safely and economically on the road. We service all makes and models and offer free shuttle services. Copyright © 2019 | www.tildenauto.com | All rights reserved | Website developed by Ready. Power. Market.